Did you make a New Years Resolution this year? Monkey World is an Ape Rescue Centre in Dorset that has 65 acres of sanctuary for over 250 primates. It works in conjunction with foreign governments around the world to stop the illegal smuggling of apes out of Africa and Asia. A fun-filled, fascinating day out! Monkey World cares for and rehabilitates the primates that it rescues and when visiting you can see over 250 primates of more than 20 different species. It is a fabulous day out and you will see these wonderful primates playing and living happily in the rescue centre. Monkey World has rescued many chimpanzees over the years and presently has 4 groups of chimpanzees at the park. Each group has at least 1 hectare of land and it is lovely watching these chimpanzees playing and interacting with each other. Each chimpanzee has its own personality and the daily Chimpanzee talk at the park gives you an insight into their lives and their different personalities. There are also many other primates in the park to see. One highlight when I visited was seeing a cheeky Spider Monkey swinging and ‘bothering’ the other monkeys trying to play with them and make friends with them. The Orang-utans were also lovely to see. Monkey World is a brilliant day out as you can see so many different primates, all of whom have been rescued and rehabilitated in the park. The costs of providing this quality and continuing care are high and the park operates on an adoption scheme to assist in their fundraising. The adoption scheme includes free admission to the park for one year. You can find more information about adopting a primate by visiting the website. Ticket prices for the park include £38.00 for a family ticket of 2 adults and 2 children, £12.00 for an adult ticket, £9.00 for a child’s ticket and free entry for under 3 year olds. Concessions and additional family tickets and group tickets can be found on the website. 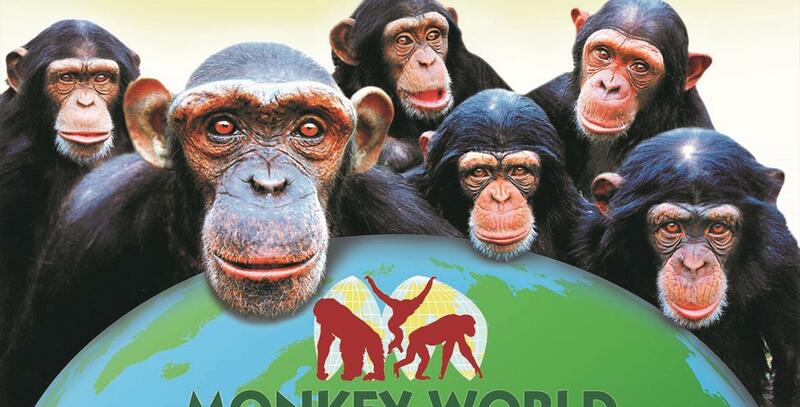 Monkey World Ape Rescue Centre is a fantastic park to visit and will be enjoyed by the whole family. If you would like more information about this article please complete the form below.